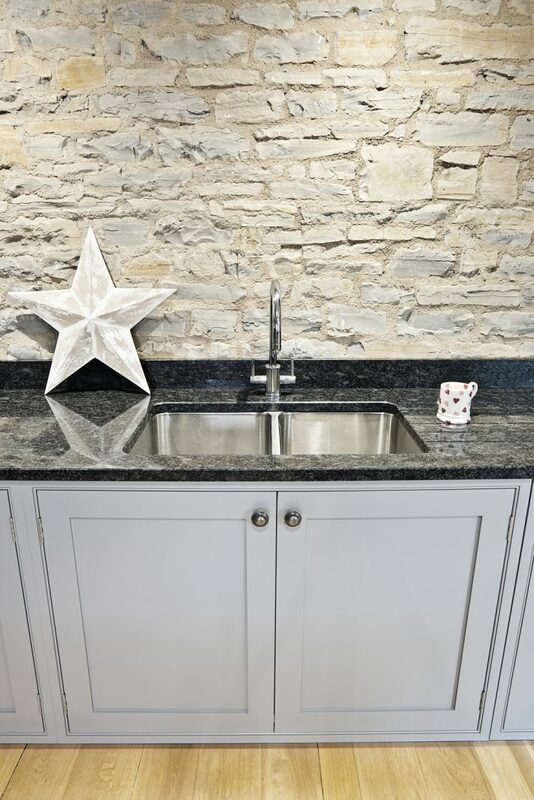 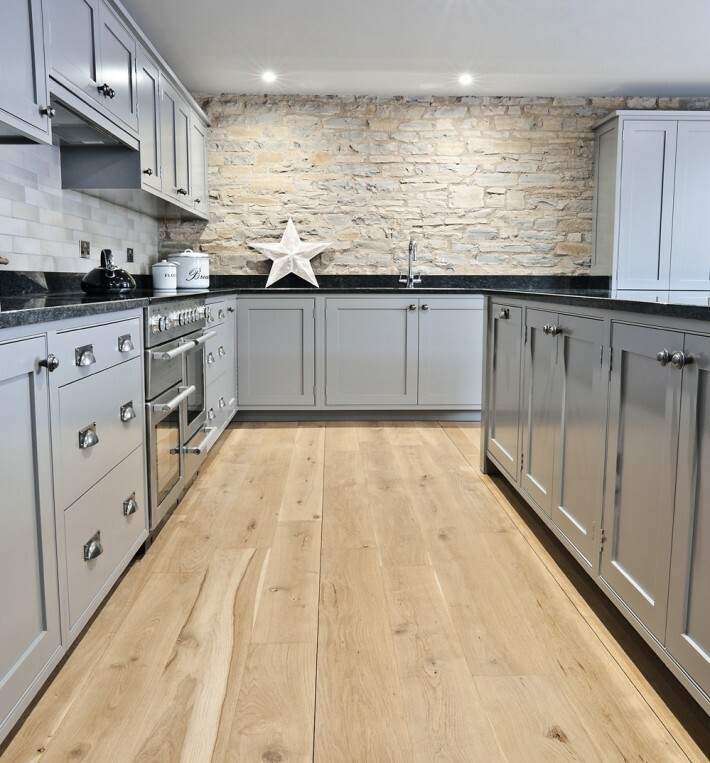 This striking kitchen with oodles of style and storage sits very happily in a beautiful barn in South Somerset. The kitchen design was inspired by the clients and their vision for their family space. The original kitchen was located upstairs in the barn and they wanted to bring the kitchen down to the large ground floor room to create a functional and beautiful kitchen, dining and living area for the whole family to enjoy. 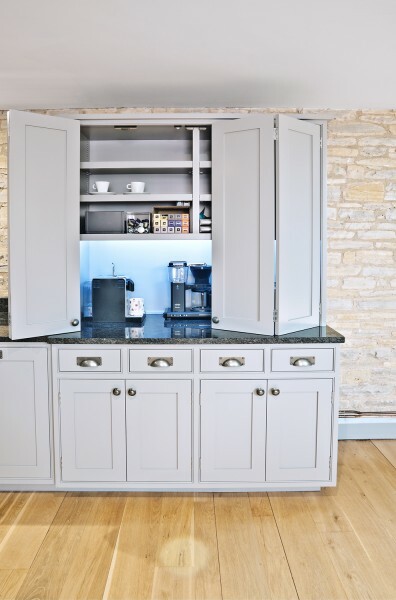 A challenge that faced the design team was that in the new area designated for the kitchen there were no windows so we had to incorporate extra lighting in the form of down lights and task/mood lighting in the kitchen cabinets. 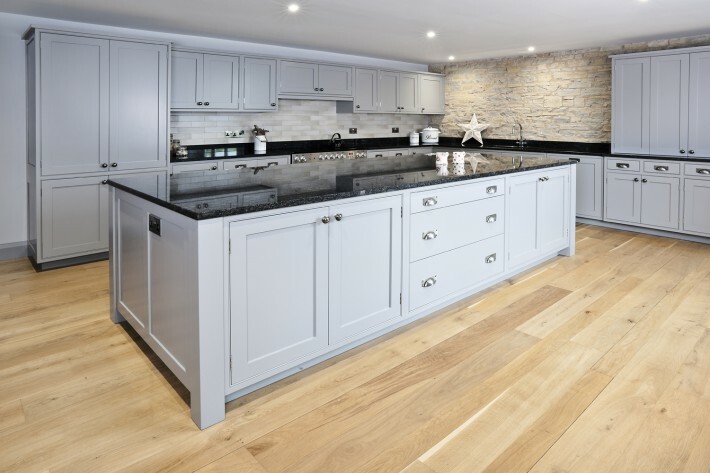 The main feature of the kitchen is the big bespoke island, creating a long preparation area for all the family meals. 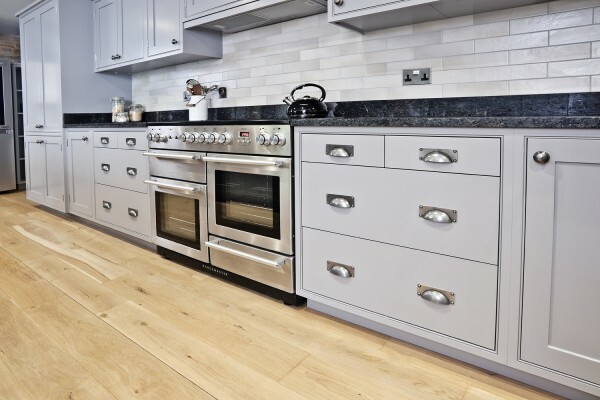 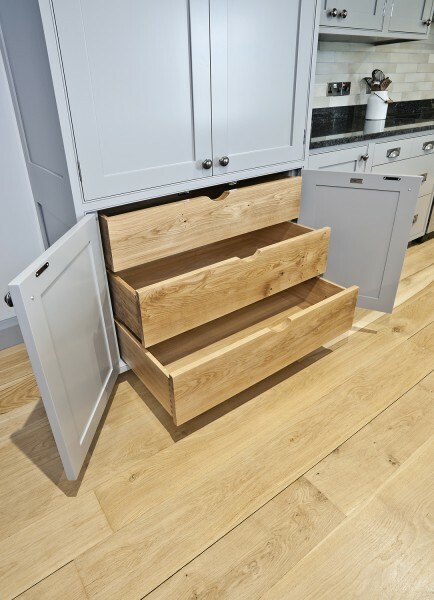 Another great addition to this kitchen is the larder unit with bi-fold doors, so that kitchen appliances such as the toaster and coffee machine can simply be used and then hidden away.